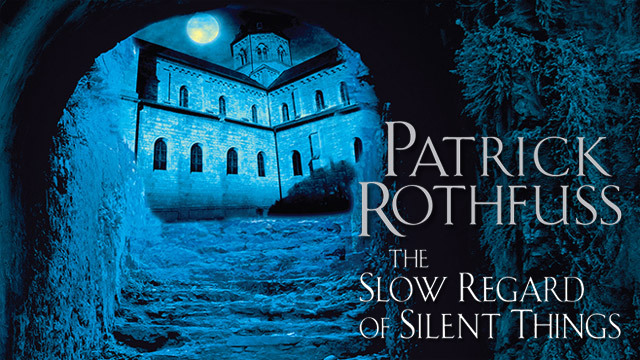 The Slow Regard of Silent Things by Patrick Rothfuss is a gentle and slow-moving novella with a certain lack of action. In this regard, it could easily be placed on a ‘nothing-happens’ shelf beside Beckett’s Waiting for Godot and Proust’s Swan’s Way: In Search of Lost Time. A second similarity it shares with these classics is it is beautifully and poetically written. Rothfuss uses language and the third-person omniscient perspective in such a way the reader gets a strong idea of how Auri’s mind works and how she perceives the world whilst maintaining a sense of otherness and mystery. A third, and final, way it is similar to the aforementioned classics is that it is experimental. Throughout The Slow Regard of Silent Things there is no dialogue, something often unheard of within novellas and novels. Bringing all of these facets together and wrapping it up in an objective viewpoint, or as objective as I can be, I would give this book four out of five stars. However, from a subjective standpoint I would take away one of those stars. It is not a bad book. The protagonist is likeable, the descriptions given to the settings are strong and, as an acquaintance of Rothfuss says, the anthropomorphised objects have more personality than a lot of fictional characters in other books. However, I often found myself counting how many more pages there were until the end of the chapter. Then, when I finally read the coda, I sighed and lay back down with a satisfaction born from wading through swampy lines of thick text. Personally, this book wasn’t for me. It is one for some people and if you enjoy Rothfuss’ poetic style and feel like a broken thing in a mucked up world, this book could be for you. Equally, if you desire to have a stronger understanding of one of the minor characters of the Kingkiller Chronicles and, indirectly, a deeper understanding of the main protagonist read this book. Subjectively, I give this book three out of five stars.